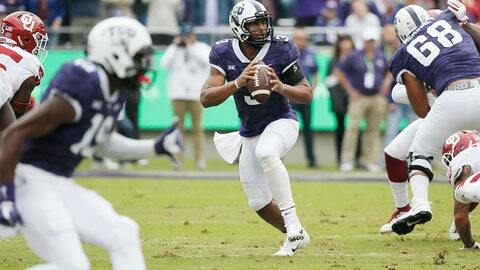 FORT WORTH, Texas (AP) — TCU coach Gary Patterson says sophomore quarterback Shawn Robinson will have surgery, and that Michael Collins will take over as the starter. Patterson never specifically said Monday what surgery Robinson would have, but the decision comes more than three weeks after the quarterback took a direct shot on his non-throwing left shoulder and had to be helped off the field in the closing seconds of a 17-14 win over Iowa State on Sept. 29. While starting every game for TCU (3-4), Robinson completed 124 of 204 passes for 1,334 yards with nine touchdowns and eight interceptions. He ran 49 times for 301 yards and three scores. TCU plays at Kansas on Saturday.